A Sharp Intake (of breath) | Spaceship! Spaceship! Spaceship! This is our second virtual build – and it’s a doozy. I love the slick shaping of this little Scrapper Shuttle by tsower; with its neat blue/grey colour scheme and really impressive white markings. But it was the intakes on those big engines that caught my eye – there’s a really nice use of the tapered flags to make this amazing shape that’s functional and very sci-fi. 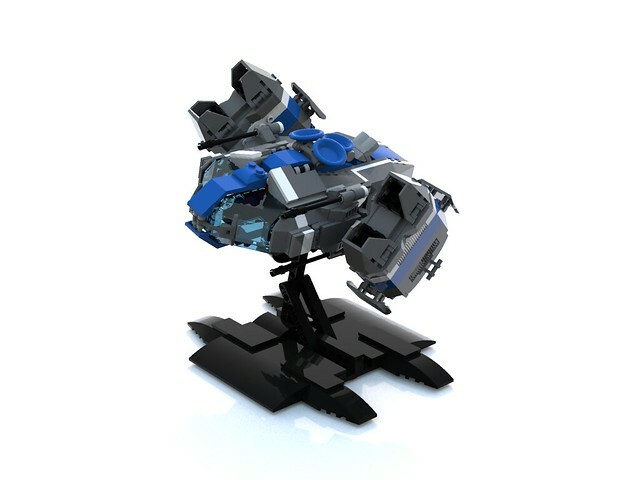 Tsower has also posted the LDD file so you can have a look at his construction techniques too. This entry was tagged LDD, MOC. Bookmark the permalink.